quizz fail. . HD Wallpaper and background images in the fanpop FAIL! club tagged: fail fanpop stupid facepalm gary the gadget guy. 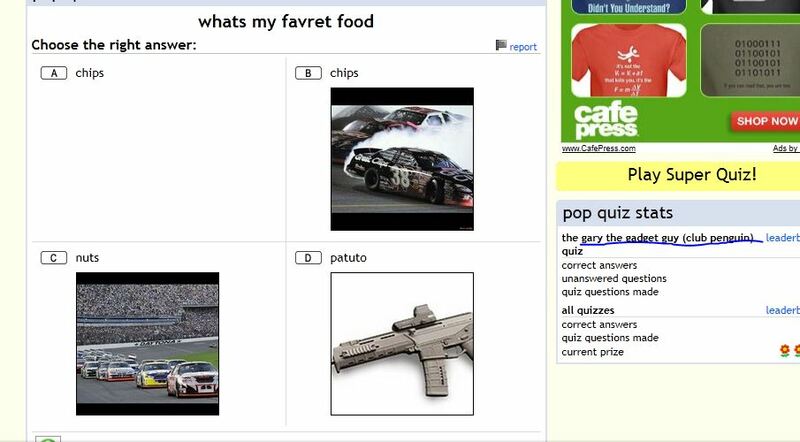 I'm pretty sure that it's supposed to be spelled "favorite".Chips is put twice as a choice,and race cars and a gun has nothing to do with chips,nuts,and potatoes.To top that all off,it's in the Gary the Gadget Guy from Club Penguin spot. That person fails at spelling.